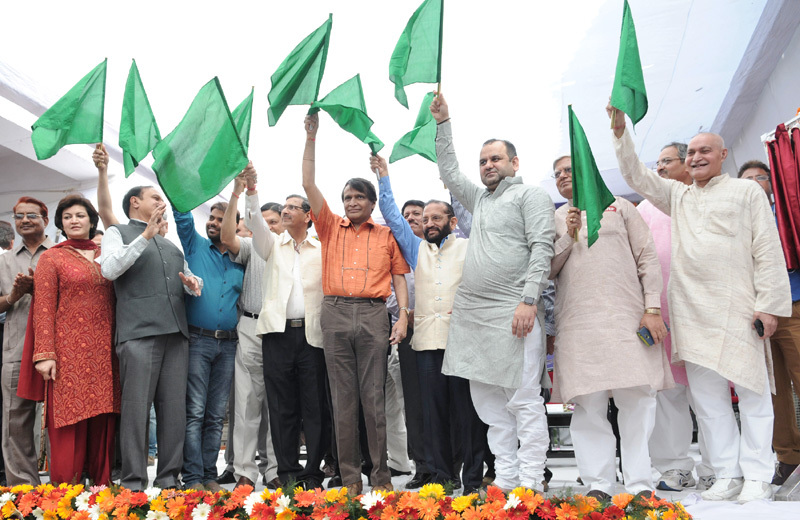 Railways Minister Shri Suresh Prabhu flagging off India’s first semi-high speed train christened as Gatimaan Express, between H. Nizammuddin station and Agra Cantt. Station, at a function, at H. Nizammuddin station, in New Delhi on April 05, 2016. India’s first semi high-speed train Gatimaan Express was flagged today on 5th April, 2016 and the train is capable of running at a maximum speed of 160 kmph! The launch of Gatimaan Express heralds a new era of high speed rail travel in India. We at Delhi Greens hope this train will indeed usher in a new era in the adoption and promotion of public transport in India and will respond to the need of having a good transport system in the country.